How to mimic Google's cloud model in your own environment - Top cloud computing providers: Where are they now? Now that you're up-to-date on the successes and missteps of several recognized cloud providers, here's another resource on a cloud model we think you might find helpful. 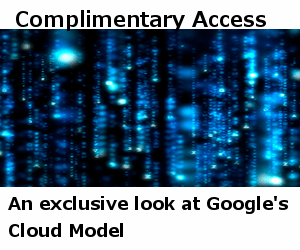 Access this exclusive new resource from SearchCloudComputing.com's editorial team and learn why copycatting Google's cloud model is not as hard as you might think.